"In the case of Laxness and 'Independent People', obsession is too weak a word for it. I think it's the greatest book ever written by a living author and I'm absolutely fanatical about it. 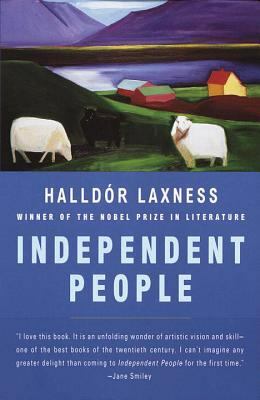 "Laxness, Halldor Kiljan is the author of 'Independent People An Epic', published 1997 under ISBN 9780679767923 and ISBN 0679767924. Loading marketplace prices 134 copies from $1.98 How does the rental process work?